Hearings for Administrative Citations must be filed within 15 days of the violation date or the right to contest the violation is waived. Find your next best friend at the Hayward Animal Shelter! Learn more about the Hayward Executive Airport's noise management regulations and complaint procedures for pilots and the public. You can also make an Aircraft Noise Management service request through Access Hayward. Whether you wish to buy, sell, or rent an airplane or helicopter, Hayward Executive Airport has a provider on the airfield to meet your needs. View open positions, read job descriptions, and apply to work at the City. The Neighborhood Improvement Grant Program provides a funding opportunity for neighborhood-based projects. A variance is an administrative exception to land use regulations. Your application will be reviewed by a Planner and any other departments or agencies as needed. If it is decided that a variance is warranted and the variance request is minor in nature, it will be referred to the Planning Director for an administrative decision. Administrative action by the Planning Director takes two to four weeks after the application is complete. More time is required if Planning Commission review is necessary. Starting a new business, or need to renew your business license? You came to the right place. You can make an Ask a Librarian service request through Access Hayward. Request an assignment or change of a property address. The City offers several free bay friendly landscaping classes each year in the fall and the spring. Check below for upcoming classes and sign up for our newsletter. Sign up for our e-newsletter to be notified of upcoming classes (follow the link and check "Environment News"). In April 2019, the City Manager will present the FY 2020 Proposed Operating Budget to the City Council. The budget will be considered by the Council during budget-related Council Work Sessions. The Council will also hold a public hearing on the proposed budget on May 21, 2019. The public is invited to all Council Work Sessions and Public Hearing to comment on the proposed budget. Council will adopt the FY 2020 Operating and Capital Improvement Program Budgets on May 21, 2019 (or May 28, 2019 if need be). Electric vehicle chargers are available at City Hall. Counseling services for children, youth and the entire family are available at YFSB’s confidential offices within the Police Department, as well as in several Hayward schools. Hello! Welcome to the City’s Clean Water Program. The CWP Team administers and implements requirements of two very important and mandatory Environmental Programs for the City: The Stormwater and the Wastewater Pretreatment Programs. Hayward’s original Climate Action Plan was adopted by the City Council on July 28, 2009 and then incorporated into the City's General Plan in 2014. 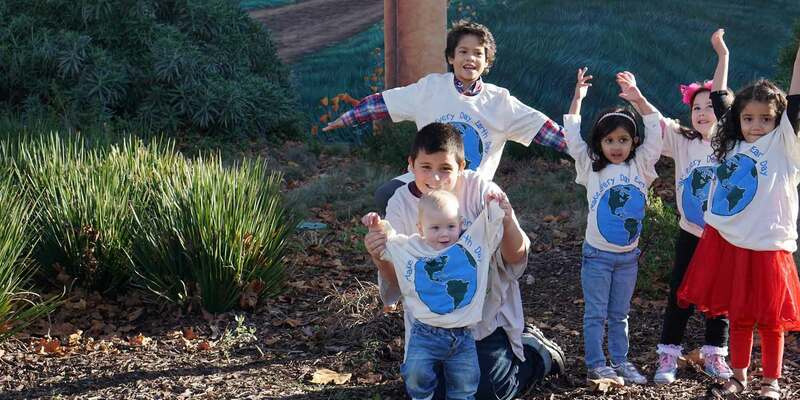 The purpose of the Plan is to make Hayward a more environmentally and socially sustainable community by reducing greenhouse gas emissions - the primary contributor to global warming. 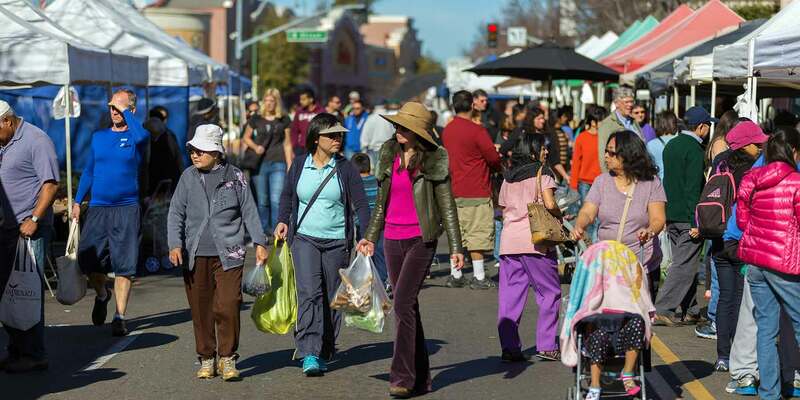 The City of Hayward provides grants through the Community Agency Funding Program to private nonprofit and public social services agencies that serve lower income Hayward residents. The Hayward Police Department takes great pride in providing high quality customer service to our citizens. Our highly trained officers have the ability to handle a variety of situations and strive to enhance the lives of the public we serve. We hold our employees to a high standard and would appreciate any positive feedback you may have on your encounter with our staff. You can compliment an officer online via Access Hayward. Compost! Compost! Feed your garden with high quality compost! Every fall and spring the City gives away bags of compost in partnership with Waste Mangement. WM EarthCare Homegrown Compost™ is made from Bay Area yard trimmings. It carries the industry’s seals for excellence. Learn more at www.wmearthcare.com. The City must approve all new connections to the City’s water and sewer systems to make sure that the connections are safe and up to code. All materials generated during construction and demolition must be delivered to an authorized facility to maximize recycling. To obtain a building permit, building applicants will need to complete the Construction and Demolition Debris Recycling Statement. Your elected officials want to hear from you! There are multiple ways to get in touch; continue reading to learn how to submit your feedback via AccessHayward, email, phone or in person. The City of Hayward has a cross-connection control program to protect the city’s drinking water distribution system from contamination caused by backflow. The City of Hayward is at risk for a wide array of disasters, from earthquakes to flooding. Disaster preparedness not only consists of having a survival kit in your home, place of business, and your car, but it is also knowledge that can travel with you wherever you go. One person’s trash can be another person’s treasure. Find out exactly where the Hayward Fault runs through our City. The Hayward Municipal Code is the set of laws that govern all aspects of City regulations. The Zoning Use Charts are designed to help you determine what types of uses would be allowed on properties within the City of Hayward. You can complete and submit a police report online. City Council agendas and minutes are records of the Council's upcoming and past legislative activity. The public education branch of the Hayward Fire Department is responsible for teaching public safety to the citizens of Hayward and also to many of the people who work in our City each day. The Hayward Fire Department wants you to be safe all year long, but especially during the FIRE SEASON. Hayward Executive Airport has a number of flight schools that offer training to become a private or commercial pilot. Pick up sandbags from the City's Maintenance team before the storm blows in and be prepared for a rainy day. Are your indoor fixtures wasting gallons of water through no fault of your own? By installing water-smart devices, you can save thousands of gallons of water over the course of a year. Birth, Death and Marriage Certificates for the City of Hayward are maintained by the Alameda County Clerk-Recorder's Office. 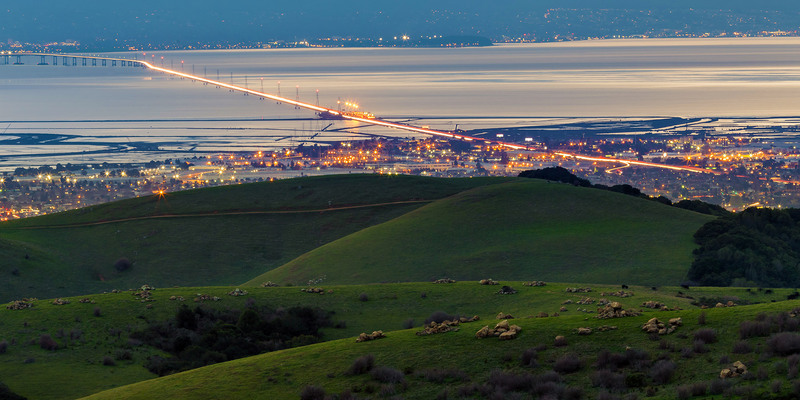 Hayward is in the Bay Area Region of the California Green Business Program. There are 3,400 certified businesses in California. Join fellow Hayward business leaders and see how you can get certified. Hayward Public Library’s Seed Lending Library operates as a community seed exchange in which borrowers are able to “check out” a wide variety of vegetable and flower seeds to plant in their gardens for home use. A library card is not necessary to use the seed library. You don’t have to be an expert gardener to participate and there is no cost to join. The public will be allowed reasonable access to all records of the Hazardous Materials except those declared confidential by facility owners or by the Fire Department, subject to Hayward Fire Department and City of Hayward policies and regulations. You can make a Hazardous Materials File Review service request online via Access Hayward. Airport businesses that operate helicopters offer a variety of services. Drop off your household chemicals, paint, motor oils, batteries, electronics, medicines, and pesticides for free at Hayward’s Household Hazardous Waste Facility. Adopted in 1990, the Emergency Services Facilities Tax is a City excise tax that funds seismic retrofits of Hayward's emergency services facilities. Information Regarding Library Charges and Overdue Notices. You can make a Library Charges and Overdue Notices service request online via Access Hayward. Would you like to learn to knit? Are you looking for activities that the whole family can enjoy? Well look no further than your Hayward Public Library! We offer several different programs and events throughout the month geared towards all ages! Come check us out and see what we have to offer! Our libraries don't just house books and research material - fun also lives here! Check out the great programs and activities we have available that are geared specifically towards teens! Animals are more than just pets... they are our furry family members! Here is what to do if you lose or find a pet. Find property (parcel) information and map data, including imagery for the City of Hayward. The Hayward Library's Nonprofit Resource Center provides access to three Foundation Center databases with detailed information for non-profit organizations seeking grant funding. Note that these databases are only available from within the library building. A Certificate of Compliance is required when there is a question about the legality of a parcel of land. Its purpose is to assure that a parcel of land was legally created in conformance with the Subdivision Map Act. Other countries on occasion require that their citizens living abroad prove their residence and well-being. Upon presentation of valid proof of identification and residence, the City Clerk will provide a Certificate of Residence verifying the individual’s residence. The fee is $15.00. State and local laws require every dog older than four months to be licensed in order to prevent the spread of rabies and help identify stray pets. Are you looking to make energy, water, or seismic improvements on your home? Learn how you can finance your project using a PACE program. Have a question about your traffic ticket? In order to meet tight construction schedules, it can be beneficial for certain projects to divide the work into phases prior to the full plan review being completed. The California Building Code recognizes this need and has a provision in CBC 107.3.3 that allows for “phased approvals”. Phased approvals are permits issued for aspects of a project before the main building permit is approved. Work for the Hayward Police Department! Do business with us! Become a registered vendor for the City of Hayward. A tree removal permit is required before removing any protected tree. There is a penalty assessed equal to the value of the tree for removing, damaging or relocating a protected tree without a permit. If you observe the removal of trees that you believe may be protected, please immediately call Planning at 510.583.4200. 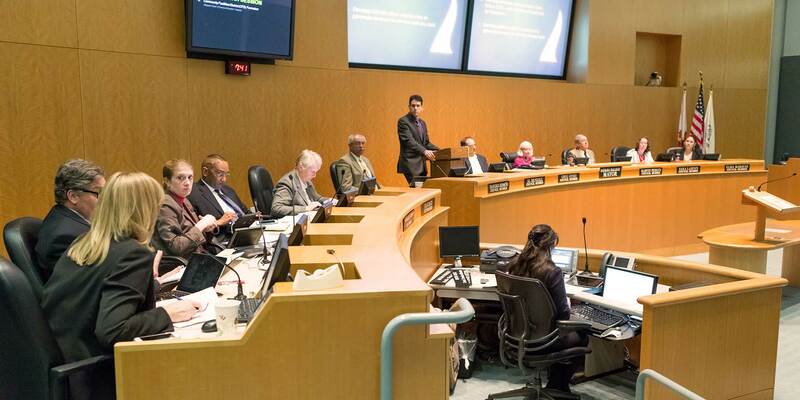 Hayward City Council recently passed an 18-month moratorium, or temporary suspension, on the decontrol process (removing units from rent control) . For more information, please review, Hayward City Council adopts emergency legislation to preserve remaining rent-controlled housing, in our news section. Please complete an Access Hayward request to request rental information or call 510.583.4822. If there is a street light outage, malfunction or damage, write down the street light identifying pole number that is posted on the pole. Report the problem either through Access Hayward or by calling Transportation at 510.583.4730. Report damaged or deteriorating retaining walls for repair and enforcement online via Access Hayward. If you see a damaged street sign, please let us know by making an online service request via Access Hayward. Help keep the City safe by reporting downed trees or tree limbs to Landscape Maintenance via Access Hayward. As the city continues to develop strategies to address the issue of homelessness in our community we are also committed to assuring habitable dwellings are safe and sanitary and therefore committed to responding homeless encampments. Anyone who is aware of an encampment is encouraged to notify Code Enforcement or the Streets Maintenance Division. You can let us know by making an online service request via Access Hayward. The officers assigned to the Traffic Bureau currently enforce traffic laws in high accident intersections and conduct speed enforcement along major thoroughfares. You can make a Report a Traffic Problem service request online via Access Hayward. Animal Control Officers respond to over 688 animal emergency calls annually. Code Enforcement regulates aspects of residential fences to ensure they conform to Hayward Municipal Code requirements. An inspection will be performed to determine if a violation exists or if the concern is a civil issue between property owners. If you are concerned about a property condition such as illegal residential fences, contact Code Enforcement at 510.583.4143. Help be the voice for our furry residents that cannot speak up to protect themselves. You can report animal abuse online via Access Hayward. The Hayward Animal Services Bureau will help address issues associated with noisy animals. https://www.municode.com/library/ca/hayward/codes/municipal_codeMaintaining and preserving the integrity of our neighborhoods benefits everyone in the community. Code Enforcement responds to all issues pertaining to community preservation and appearance to assure compliance with adopted regulations. You can make a Community Appearance Problem service request online via Access Hayward. Report broken or missing traffic control markers to our Maintenance staff. Reporting fading or damaged signs or lane striping helps us keep Hayward safe. Help keep our City clean and neat by reporting graffiti in public areas. All auto repair must be in compliance with City regulations. If you have a concern about illegal auto repair, contact Code Enforcement at 510.583.4143. You can report illegal auto repair online via Access Hayward. Construction projects requiring a building permit are considered illegal when work begins without first obtaining a permit from the Building Division. The Code Enforcement Division works in partnership with the community to ensure all properties throughout the City are kept in good condition and in compliance with adopted laws and zoning regulations. To report illegal construction contact Code Enforcement at 510.583.4143. Help us keep our city clean and safe by reporting trash and debris. The City responds to citizens complaints regarding illegal garage conversions to ensure they are in compliance with Zoning and Building Code regulations. You can report an illegal garage conversion online via Access Hayward. Home occupations are governed by a specific set of regulations to ensure they do not disrupt the residential character of a neighborhood. The Code Enforcement Division responds to all concerns related to illegal home occupations to assure compliance with adopted regulations. Contact Code Enforcement at 510.583.4143 to report concerns of un-permitted home occupations or use. You can report an illegal home occupation online via Access Hayward. Code Enforcement responds to reports of Illegal signage on private property. The Hayward Municipal Code regulates all aspects of signage including, but not limited to: location, size, condition and type of signs that are allowed to be placed on properties. If you see a sign that you are concerned with please contact Code Enforcement at: 510.583.4143. You can report illegal signage online via Access Hayward. Thank you for helping keep our creeks, bay, and Wastewater Treatment Facility clean. If you are experiencing a drug problem, including drug trafficking or drug use in your neighborhood, call 510.293.7047. You can also email the Hayward Police department at: HaywardPDNarcs@hayward-ca.gov to report illegal drug activity. Help us keep Hayward clean by reporting overflowing City litter containers. You can make a public litter container service request online via Access Hayward. Code Enforcement responds to complaints of overgrown weeds on private property. Code Enforcement will ensure that the property is maintained as overgrown weeds can negatively impact community character as well as pose a fire hazard. If you are concerned about overgrown weeds contact Code Enforcement at 510.583.4143. You can make an overgrown weeds & vegetation service request online via Access Hayward. The City maintains City-owned sewer pipelines. The public can assist in this effort by reporting possible sewer overflows. The City provides assistance with private sidewalk repair and patches sidewalks in the public right-of-way. Report an issue or concern related to traffic control devices, such as traffic signals or STOP signs. If you live or work in the City of Hayward and believe that you are the victim of identity theft, this free service will provide advice and support to help you get through it. A Certificate of Merger is required whenever a building or development is to be constructed over a property line. The Fire Department schedules and coordinates Code Assistance Meetings with owners of new construction projects and their architects or contractors. New construction also includes major alterations and modifications of existing structures. The Hayward Fire Department is pleased to offer your group an engine appearance or tour of any of the nine stations. The Hayward Fire Department has teamed up with Hayward Rotary, Case Compactors, and Sprinkler Fitters 483 to provide Smoke Detectors to the residents of Hayward. City-sponsored programs, events and public service announcements are eligible for coverage on KHRT Cable Channel 15. If you have a qualified event you'd like to promote on KHRT, you've come to the right place. Members of the community may ride along with uniformed Hayward police officers while they perform their shift patrol duties. Help us protect our infrastructure, maintain public safety, and prevent flooding by reporting clogged or dirty streets, curbs, and gutters. Copies of Police Reports for vehicle accident, crime and stolen property are available to the public. The Hayward Police department provides information pamphlets on a variety of crime prevention topics. Does your neighborhood need a passenger loading zone or parking reserved for people with disabilities? You can request curb painting online via Access Hayward. The Building official finds that no substantial hazard will result from occupancy of any building or portion thereof before the same is completed, a Temporary certificate of Occupancy (TCO) may be issued prior to the completion of the entire building or structure. Keep the city clean and green by helping the City care for and maintain trees in the public right-of-way. Read about and request tree services right here. To protect public safety (and your car's suspension) report roadway issues to the City. Code Enforcement conducts inspections to ensure rental units are maintained in a safe and sanitary living condition. Code Enforcement strives to complete the inspection process in an effective and efficient manner. If you believe your rental unit is not being maintained contact Code Enforcement to schedule an inspection of your rental unit: 510.583.4175. Help us keep Hayward's infrastructure in good condition by reporting streets, curbs, and gutters in need of repair. Keep Hayward clean and prevent flooding by reporting clogged storm drains. The following are some very basic tree questions that you may have as a homeowner in the City of Hayward. View all closed bids and bidding results here. The Master Fee Schedule contains all fees and charges attached to City services delivered by each City department. The Comprehensive Annual Financial Report (CAFR) details the City's financial position and achievements of City operations each year alongside demographic and statistical information to help provide context for understanding the financial condition of the City each fiscal year. Our award-winning Sewer Collection team is responsible for maintaining Hayward's network of sewer collection pipelines and wastewater lift stations. Considering solar and energy upgrades for your home or business? Now is the time! The 30% Federal Solar tax credit ends in 2016. The City of Hayward has an agreement with Waste Management of Alameda County to provide garbage and recycling service to all residents and businesses. Help the City reach its goal of recycling 80% of our waste by 2018. The Hayward community currently recycles 75% of its waste. Help the City reach its goal of recycling 80% of our waste by 2018 by sorting your waste in the correct bin. All over the country millions of unwanted animals are euthanized each year at animal shelters. Spaying and neutering your pets can alleviate pet overpopulation and save lives. The Revenue Division is responsible for administering the water and sewer billing for the City of Hayward. Contact us by phone or in person with the information needed. Anything other than rainwater is prohibited from entering the City’s storm drain system. The City’s Stormwater Program routinely inspects businesses and industries in Hayward to correct improper practices that may pollute stormwater. You can make a service request for stormwater services online via Access Hayward. Report issues with speed bumps and street humps to the Maintenance Division online via Access Hayward. The streets of Hayward are swept every two weeks. Need a little something extra? Make a service request online via Access Hayward. Would you like to suggest a book, CD, or DVD that the Hayward Public Library should add to its collection? Let us know via Access Hayward. Deciding to surrender your pet can be a difficult process. Let's work together to ensure the best possible solution for you and your pet. Hayward's Wastewater Treatment Facility is a 2015 winner of the EPA's Green Power Leadership Award and was named 2015 Plant of the Year by the California Water Environment Association San Francisco Bay Section. The Transient Occupancy Tax is a common tax applied to hotel and motel stays within the City of Hayward. Would you like to learn more about City services and City Hall? Are you friendly and outgoing? If you answered "yes" the above questions then you might want to consider volunteering at City Hall! Humanely caring for and placing over 3,700 animals per year requires many hands. Without volunteers, many shelter animals would never find a new home. The City’s Clean Water Program regulates all industrial discharges to the City’s sanitary sewer. Certain industrial businesses are required to obtain a wastewater discharge permit. Not everyone has time to attend live City Council and Planning Commission meetings. Thanks to modern technology, that doesn't have to stop you from staying informed! Watch live streaming video of City Council and Planning Commission proceedings from the comfort of your desktop, tablet or smartphone. The City of Hayward Water Distribution Division reads your water meter every other month to determine your water usage. You can also read your meter to track your water use. 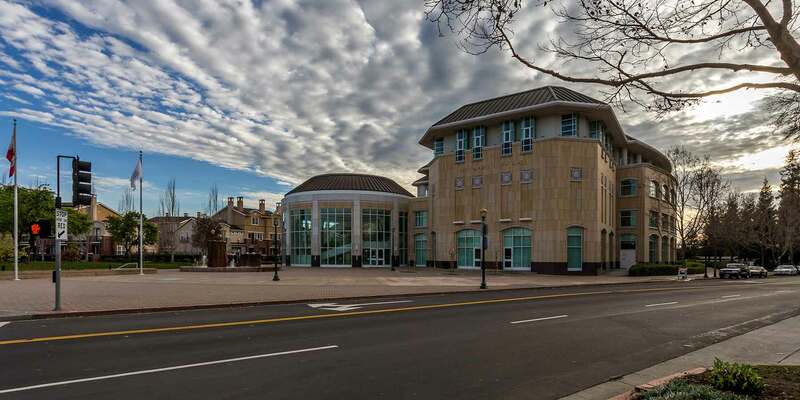 Hayward purchases its waster from SFPUC - the San Francisco Public Utilities Commission. Hayward's Utilities Department works closlely with SFPUC to maintain the highest standards of quality, reliability, safety, and efficiency. YFSB is a unique part of the Hayward Police Department where police officers and professional counselors work side by side offering a variety of services to the residents of Hayward.